Most of the homebuyers who shop online notice photos first when looking for a home. That is why having the very best photographs of your home is so important. Get the photos right and it could mean higher offers and a quicker sale. Why? Well, because first impressions count. Your photos are going to be seen by online consumers, so making your listing stand out is imperative. Ensure that you promote your sale in the best light possible by planning ahead of time for professional photography. The easiest way to get the very best photographs is to invite a professional to come and take them. But even if you have the professionals coming round, there are steps you can take to prepare your home for photographs and really show your property at its best. 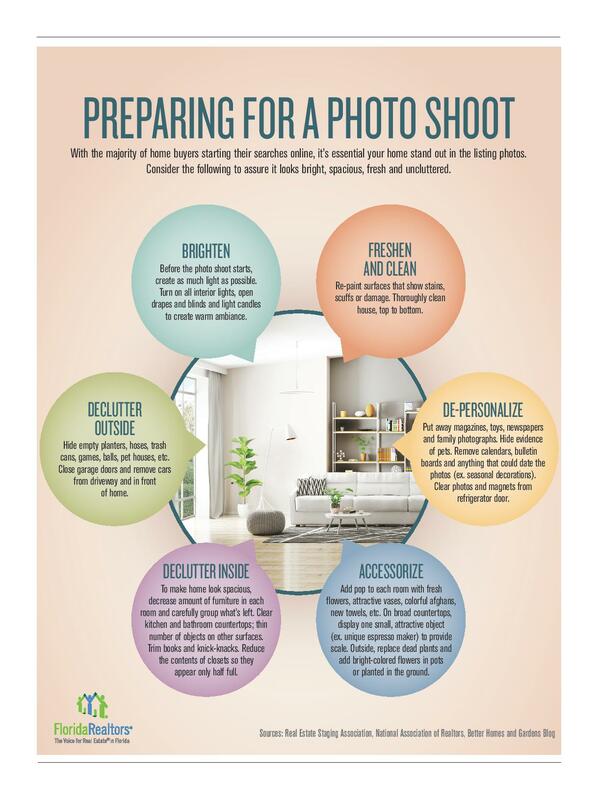 The following lists are suggestions you should take in order to ensure the best possible photographs and marketing of your home. Following the above tips will ensure you have a productive, successful, and stress-free photo shoot. Regardless of the price of your property, you need great marketing and for that, you are going to need great photography. Once your space is photo ready, it is just a matter of finding a good photographer that is going to capture and accentuate all its best qualities.